Whether you were born in or lived in the County of Suffolk you have been privileged to its Outstanding Natural Beauty. We have some of the finest buildings, the widest skies for Sunrises and Sunsets, we boast the most Eastern Point of Mainland Britain at Ness Head Lowestoft. The bird life is arguably second to none and there are not too many places that have the Sandlings and the Heaths left, we have that gentle rolling countryside too. Make the most of Suffolk you may never pass this way again! I agree with your comments John, a wonderful county, not only for birds but for all sorts of other wildlife as well. I attach a photo of what's in store for anyone looking hard enough at the right time of year in the right place. A White Admiral taken at a site not too far from Ipswich. The wonders of nature abound in Suffolk for those with enough interest to go looking. 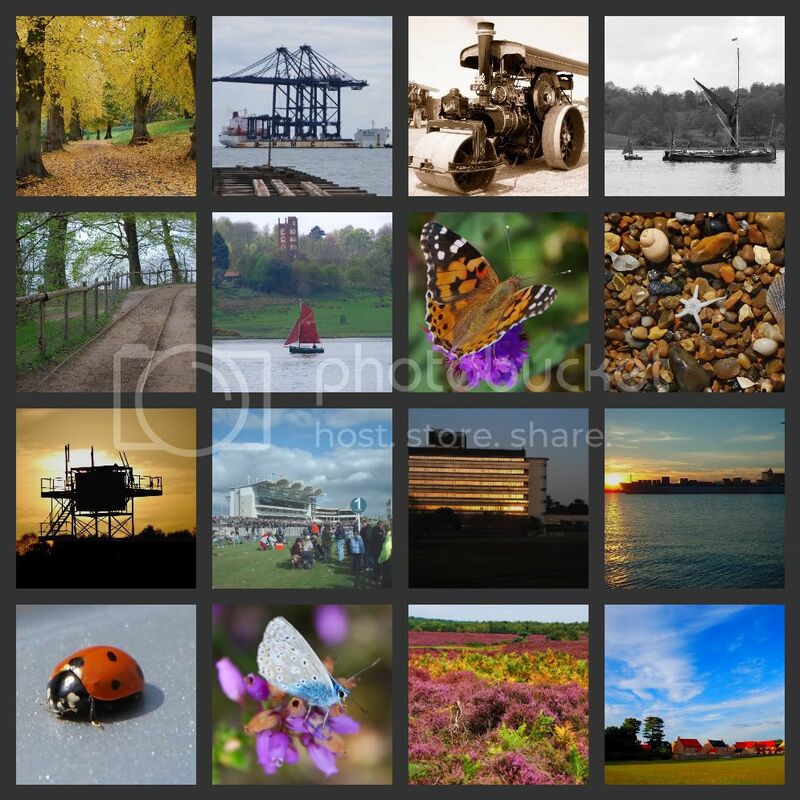 The aim of this website is to bring together people who have an interest in the County of Suffolk, it is not intended to be used as a general 'chat site' but to express ones views of Suffolk as seen from insiders and outsiders alike. To gain access to the site at the moment it is a read and reply site, this will probably take 3-4 months to establish itself. Each person wishing to post a response must register with the site, your email address will only be visible to myself but your IP number is shown. Please do not abuse the site it is here for all to enjoy whether young or old, if it is considered that any foul language will be used or any inappropriate behaviour seen that persons membership will be deleted without any notice. You may see initially loads of photos of Medieval Churches, in those days the church was the hub of every village, together with a guildhall, decisions on life in the village was made here. I have visited all 500+ medieval churches in the County of Suffolk and have had internal access to over 90% of them. We also have another friend who has a wonderful collection of photographs of moths, butterflies and insects, he will place his photographs for those that are interested. I still have some work to complete this project as it is very much in its infancy, if things look awry it probably is just that, but please bear with me for it to be almost 100% perfect in the end. Things will be fairly inactive on the number of posts on the forum for the next two months. I have registered the site with 350 search engines including the two 'big guns' Google and Yahoo. I have entered our forum on many Suffolk guestbooks both home and abroad and I have noticed some visitors from some very remote places. Once these forums catch on they can go from strength to strength or flop, I run a Royal Air Force site here http://RAFForum.activeboard.com/ on similar lines to this Suffolk site, there has been 1.7 million hits in 3 years with 44000 posts. I don't think we will ever meet those figures but there again 3 years ago I never thought that was possible on The RAF Forum.